Join me and a couple of hilarious guys as we raise money for CASA. 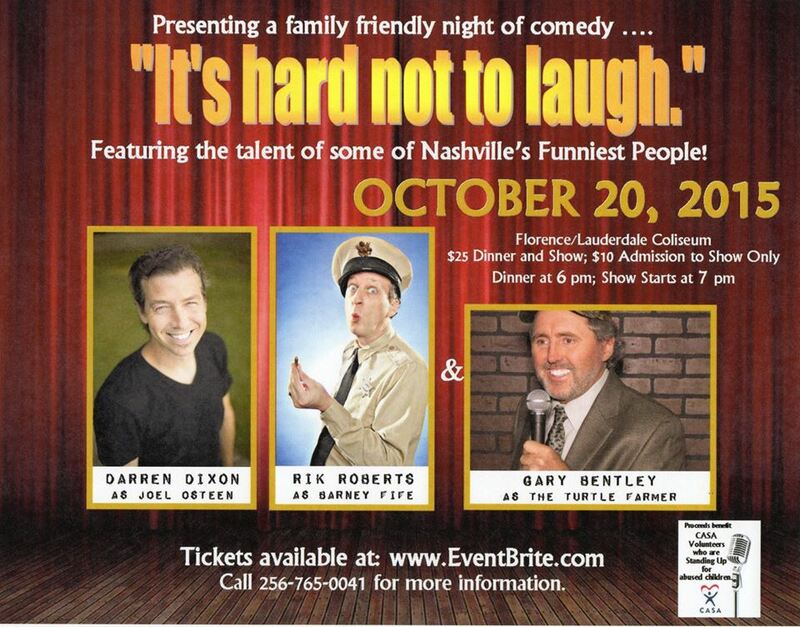 Call 256-765-0041 for tickets. Show plus dinner ($25) starts at 6pm. Show only ($10) at 7pm. This entry was posted on Saturday, October 17th, 2015 at 1:05 am	and is filed under fundriasing events, LIVE SHOWs, promotioms. You can follow any responses to this entry through the RSS 2.0 feed. You can leave a response, or trackback from your own site.